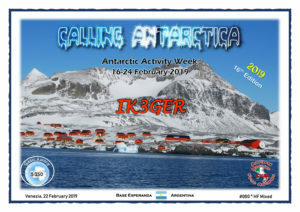 To celebrate this year event, Paolo IK3GER has set a fully free diploma for OM/SWL, that will join ans work WAP special callsigns. The Award is available at Paolo’s web site https://www.ik3ger.it where the chasers can read the rules and join. b) “First Class” for 10 or more QSO/HRD with different WAP references. 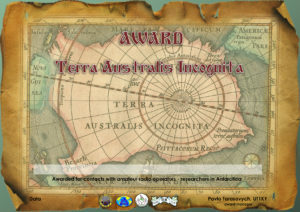 QSOs made with Special Stations listed on AAW 2019 are valid for: Terra Australis Incognita Award. 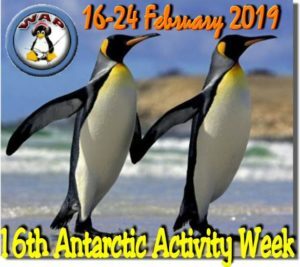 EM16UAP (Ukrainian Antarctic Program) WAP-295 is also valid for Award from National Antarctic Sсientific Center of Ukraine. Dr.Pavlo Tarasovych, UT1KY has pubblished a book about the Antarctic Continent. Now Pavlo offers the Book to the WAP Antarctic Chaser at the special price of 5 Euro or 5 USD. Do not loose the oportunity to get this 68 pages (format A5) with lots of pictures and information of his staying in the Ice Continent. You can order it directly to Pavlo UT1KY ( ut1ky@ukr.net).The book is available in English.